San Diego, Mexico, Guatemala, El Salvador, Los Angeles, Haiti, Peru—the conglomeration of places former Augustinian Volunteer Jeanette Gonzalez has visited and served within since her undergrad days at Loyola Marymount University. Gonzalez has done a lot in a short time. Four immersion trips in four years to post-civil war El Salvador, visits to Haiti after the earthquake that left foundations in shambles even when she arrived seven months later, teaching in San Diego balanced out with triweekly border crossings into Tijuana to serve as a caretaker in an orphanage. She’s now getting her second master’s at the University of San Diego in Peace and Justice Studies after receiving her M.A. in Pastoral Care and Counseling. She’s also interning for Survivors of Torture International, where she loves being able to connect refugees, the marginalized and the poor with the services they need. Working for Catholic Relief Services is one of her dreams, as is doing public policy. But for now, her capstone project will have to take precedence. That place ended up being Wilmington, Delaware, where Rojas served with Franciscan Volunteer Ministry. She attended a Catholic Volunteer Network-sponsored post-grad service retreat where she met members of the CVN team. “Nikki (CVN Associate Director) explained then, a year of service is ‘not a year off; it’s a year on.’ I didn’t waste my time at all,” Rojas says. Under her program, she shifted between teaching ESL to Latino youth and young adults in a local church and teaching Spanish to women in prison. She remembers casually telling the team at the prison that she could speak Spanish fluently, thinking it would not be of any use there. Teaching her native language soon became a staple of her service, in addition to tutoring, helping with Bible Study, coordinating Catholic mass and helping in culinary and life skills classes. Within the diocese, Rojas found that ministering to Hispanics in their language was very special, enabling her to connect with the community right away. “It got me to people’s houses and helped me earn people’s trust,” she explains. Gonzalez has had similar experiences with her native language. “A pro to not having a language barrier was that I was able to connect with people more easily,” she explains. Throughout her extensive travels throughout Latin America and the Caribbean, Gonzalez remembers walking with the people in solidarity. While serving, she saw how people who had gone through so much oppression or hardship were able to get back on their feet. “It was a transformative experience walking together,” she remembers. Because of this, her current capstone project involves studying how people can use their faith and spirituality to move beyond conflict. 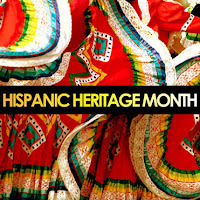 The United States has recognized National Hispanic Heritage Month from September 15 to October 15 since 1988. But Rojas and Gonzalez clearly don’t need a special month to give back, stand up for or show their passion for their Hispanic sisters and brothers—or anyone for that matter. Growing up in the projects in Los Angeles, Gonzalez remembers a neighborhood of violence, shootings and teen pregnancy. “I have a really strong family, but I was raised in a broken community where people were marginalized. I wanted to do better for myself,” she explains. Meanwhile, in the Bronx and then in Lawrence, Mass., Rojas witnessed first-hand some of the struggles the Latino community faced in U.S. society. As a Latina herself, she felt blessed to have been able to receive an education and live independently—having privileges many others go without. But Rojas does more than just observe and be grateful for her blessings, she gives back. Rojas and Gonzalez work and live on completely different coasts and time zones. Their families are from different countries (the Dominican Republic and Mexico). And they have never met. But some things unite them more than they know: their work in programs under the Catholic Volunteer Network, their first language, their impressive resumes and their passion for Hispanic Ministry and serving the underprivileged nationally and abroad. Both can also thank their Campus Ministry offices for introducing them to the idea of post-grad service under one of Catholic Volunteer Network’s programs. “I’m called to service and to minister to those that have the potential to be great, but haven’t been able to because of things like financial resources or cultural prejudices,” Rojas explains. “That’s a need that I want to meet. I want to be able to do that within a religious context and share my faith,” she continues. With this in mind, Rojas is currently a first year graduate student at Boston College studying to attain a dual master’s degree in Mental Health Counseling and Pastoral Ministry. Gonzalez, on the other hand, is open to refugee work or development work. After writing her capstone that will investigate the role of spirituality in peace building in Latin America and the Caribbean, she hopes to pursue public policy or work with a grassroots organization post-graduation in December. During National Hispanic Heritage Month, we take time to celebrate those whose ancestors came from Mexico, Central and South America, the Caribbean and Spain—acknowledging their contributions to our country and celebrating its richness as a result. These women’s lives attest to this richness, one that has been cultivated throughout our history and that will continue to flourish because of examples such as these.